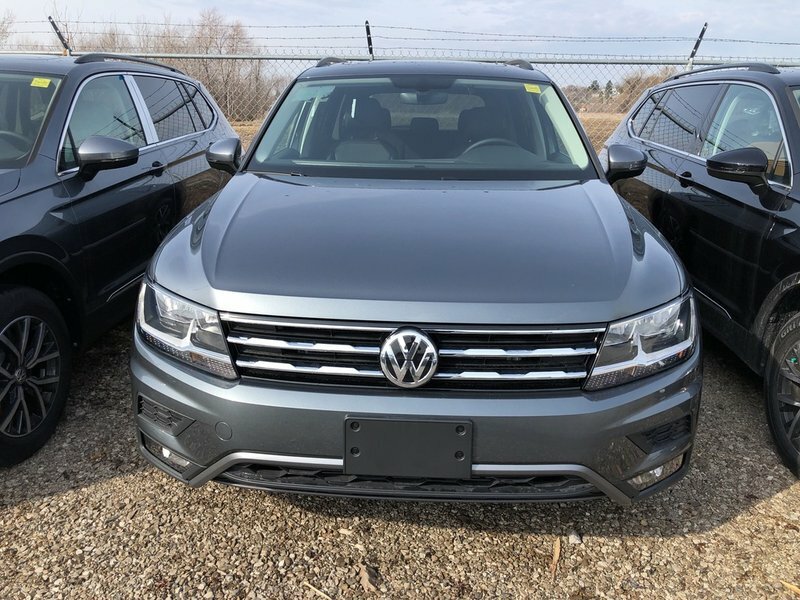 This Comfortline Tiguan has all the great features of the Trendline but adds a few more features such as 17 alloy wheels, chrome window surrounds and lower door trim, front fog lights heated washer nozzles, panoramic sunroof, privacy glass, rain-sensing wipers, 8-way power adjustable driver seat and includes power recline and 2-way lumbar support, chrome interior accents, Climatronic dual-zone electronic climate control, comfort heated front seats, leatherette seating surfaces, Composition Media 8.0 touchscreen radio with proximity sensor, CD player, voice control, 8 speakers and 1 SD slot, Sirius XM satellite radio, blind spot detection with rear traffic alert, front assist autonomous emergency brake, keyless entry with push-start button, plus a whole lot more. Come and see all this NEW Tiguan has to offer! With competitive financing and great warranty and protection packages available, your new car will be well protected. Click or call now to book your test drive. Sale price includes all fees with only HST and Licensing as extra.